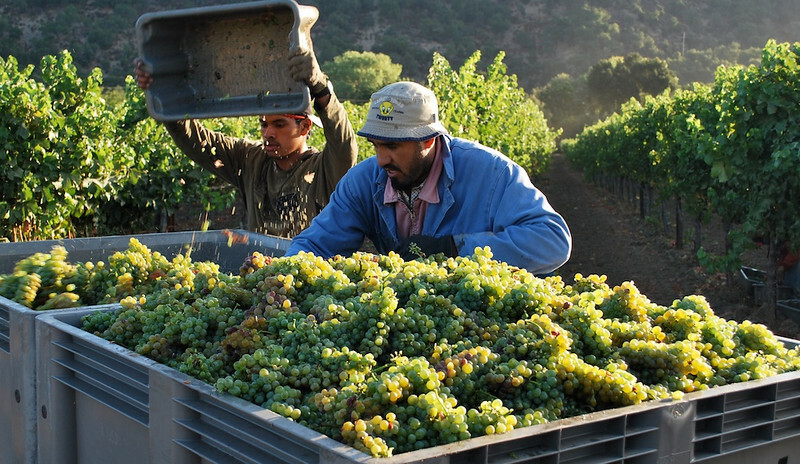 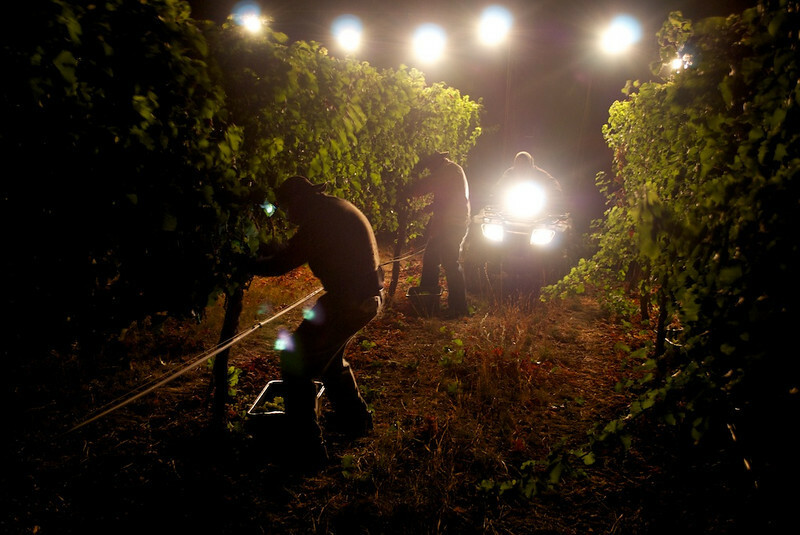 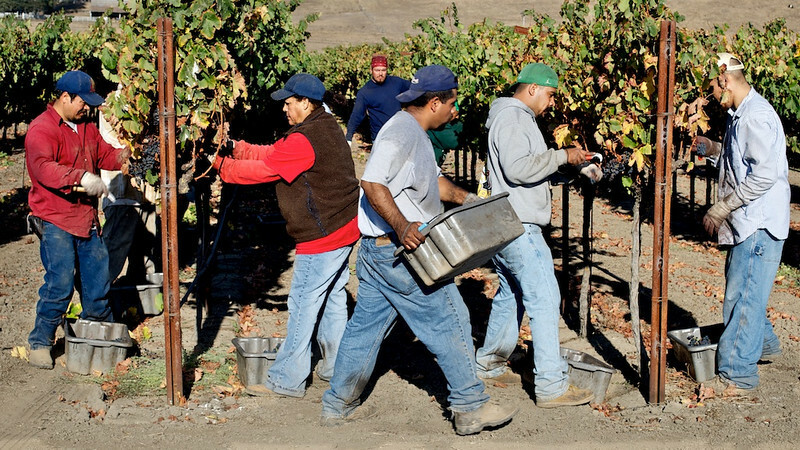 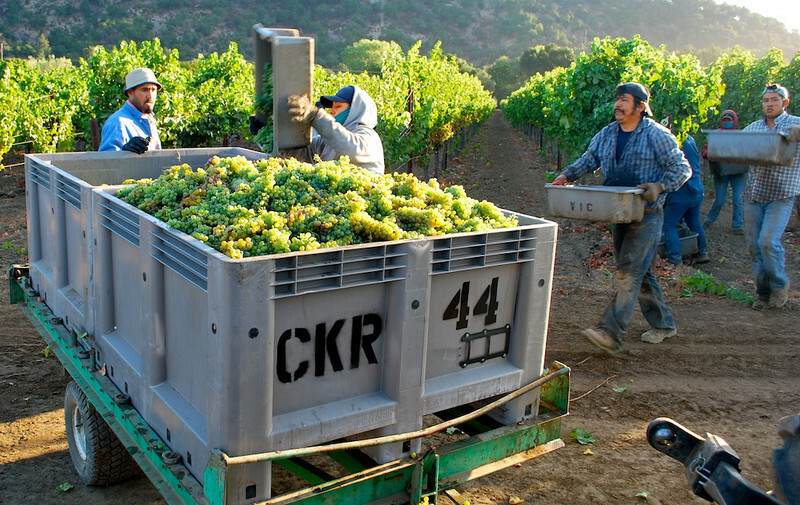 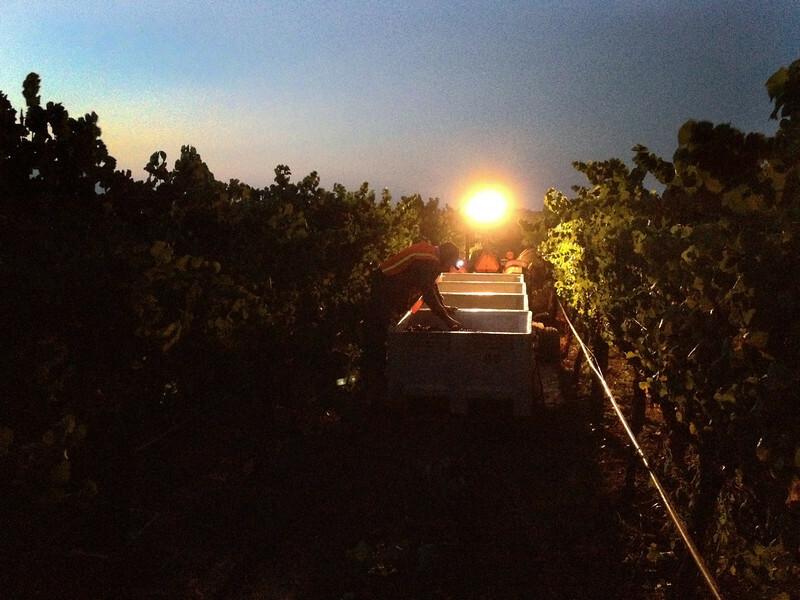 Talcott Vineyard Sauvignon Blanc night harvest. 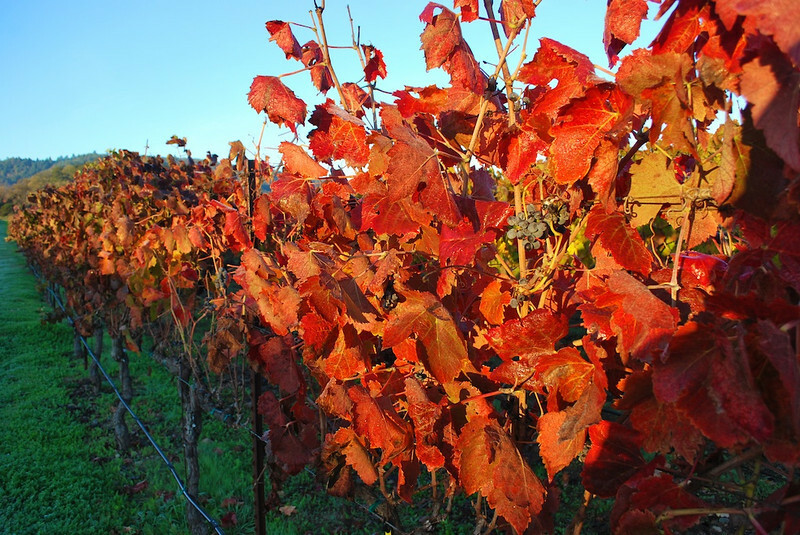 A wonderful old vine vineyard just outside of St. Helena. 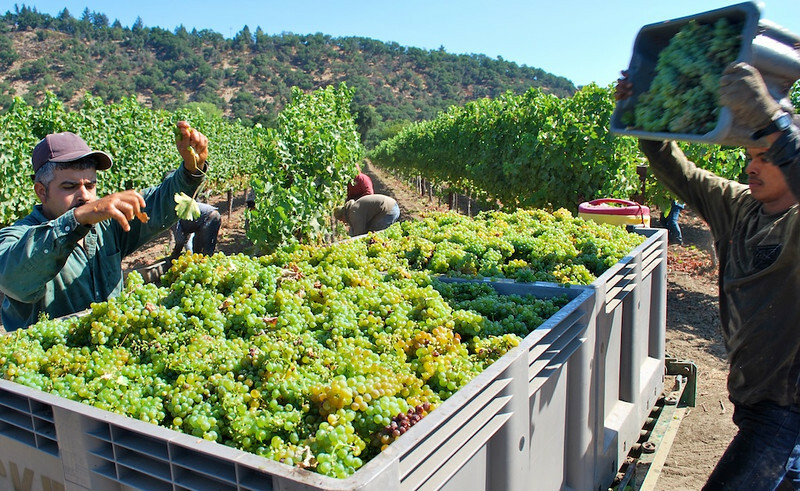 Oak Knoll Riesling on September 8th still weeks from harvest. 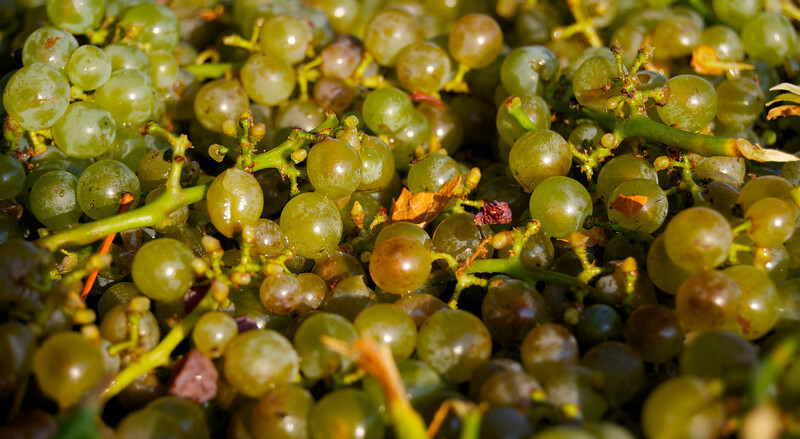 Talcott Vineyard Sauvignon Blanc waiting to go into the press hours after picking. 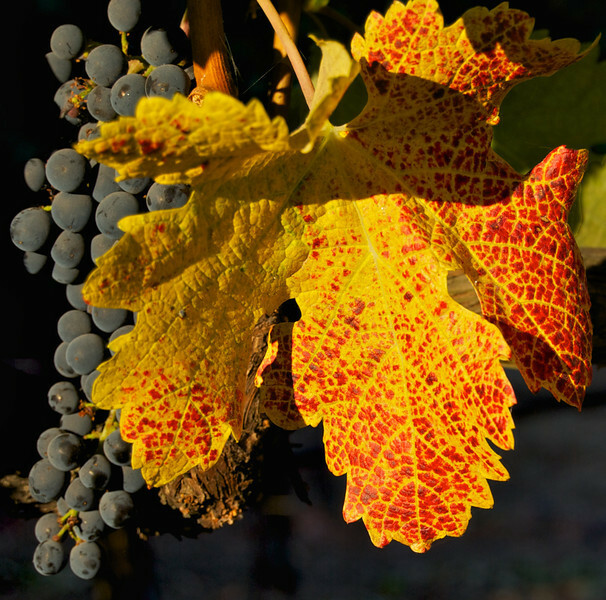 A virused leaf turns prematurely golden as the Cabernet crop slowly ripens. 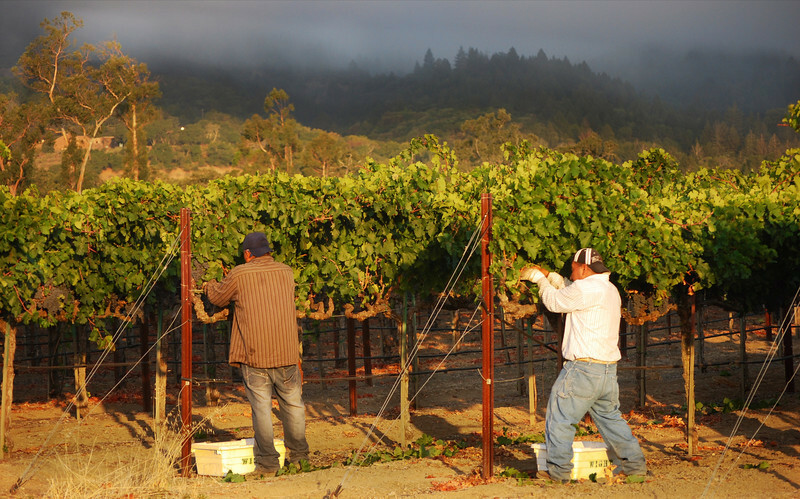 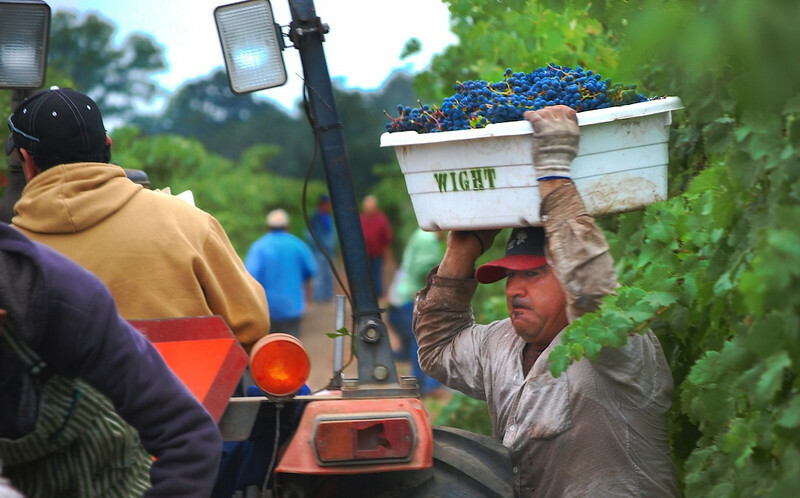 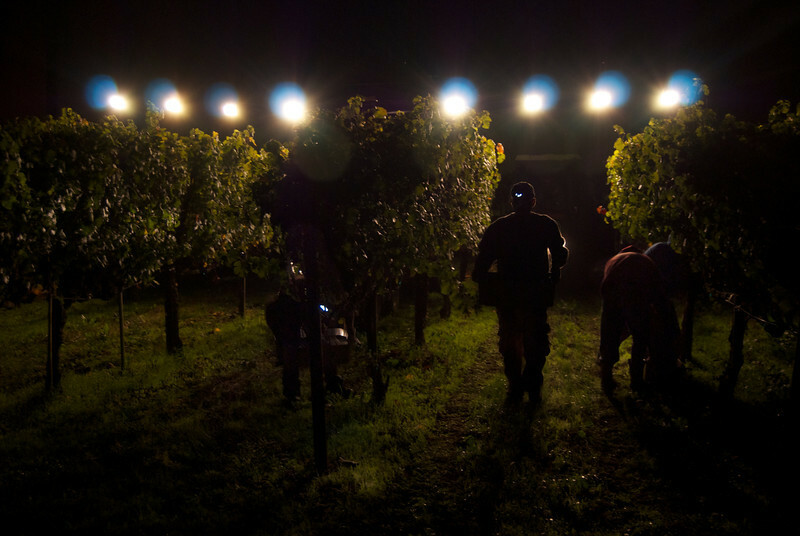 The pickers wait for enought light to start their day's work. 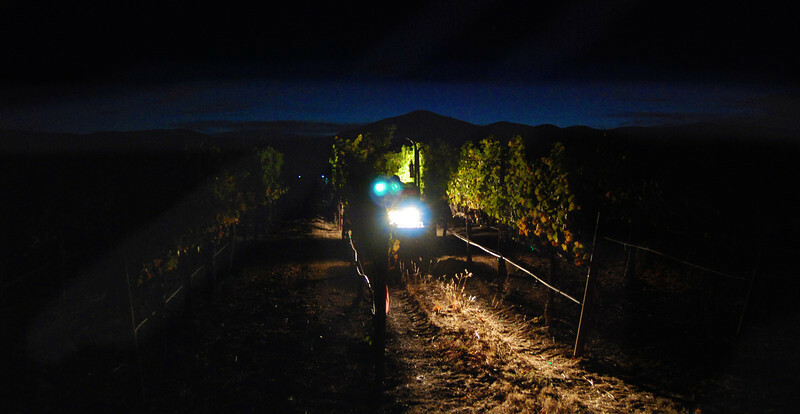 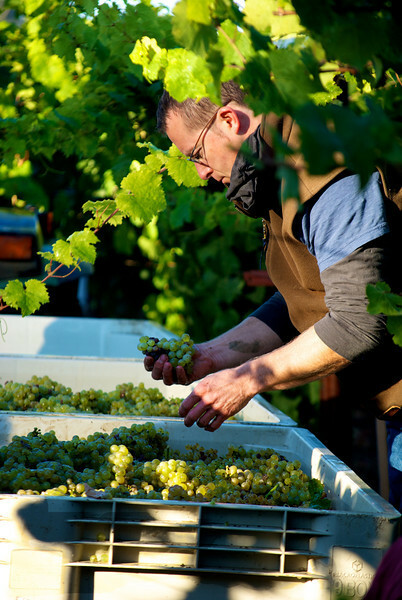 Cornerstone winemaker Jeff Keene sorting riesling in the field during harvest. 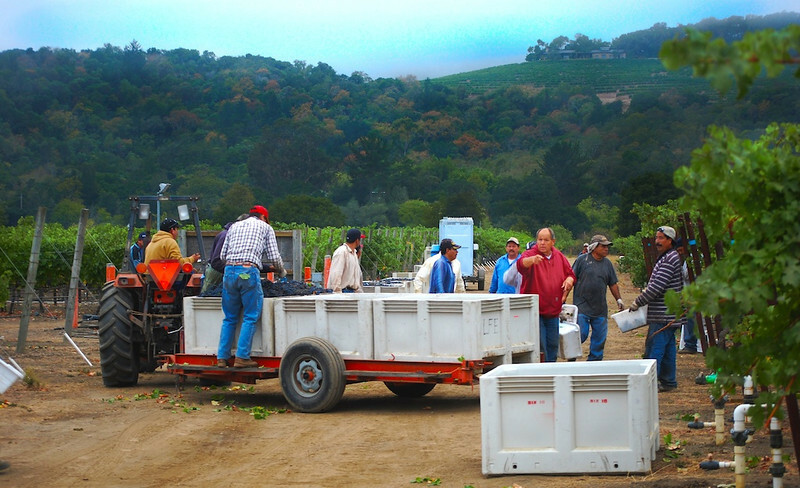 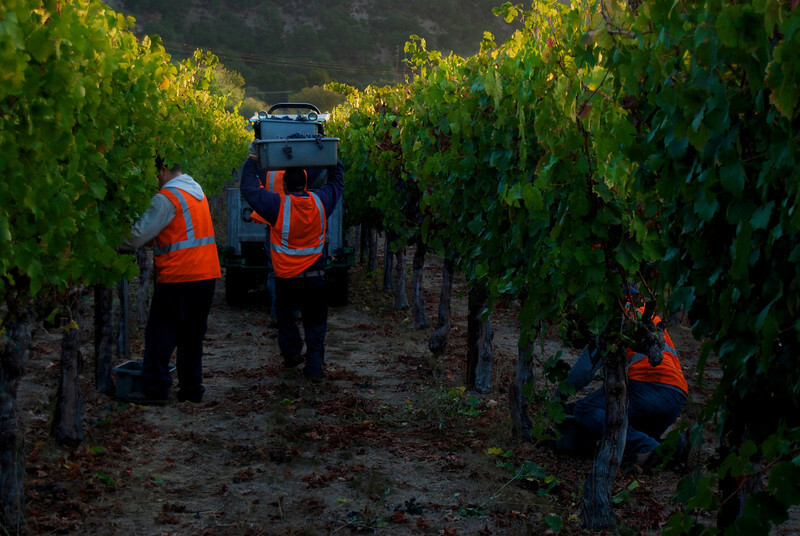 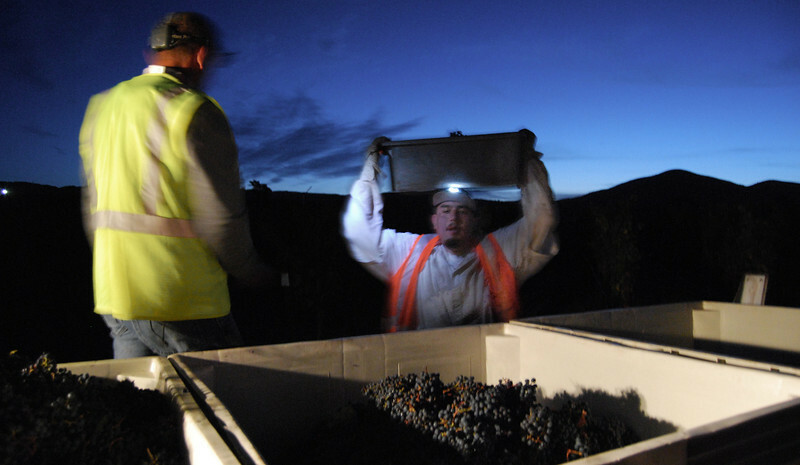 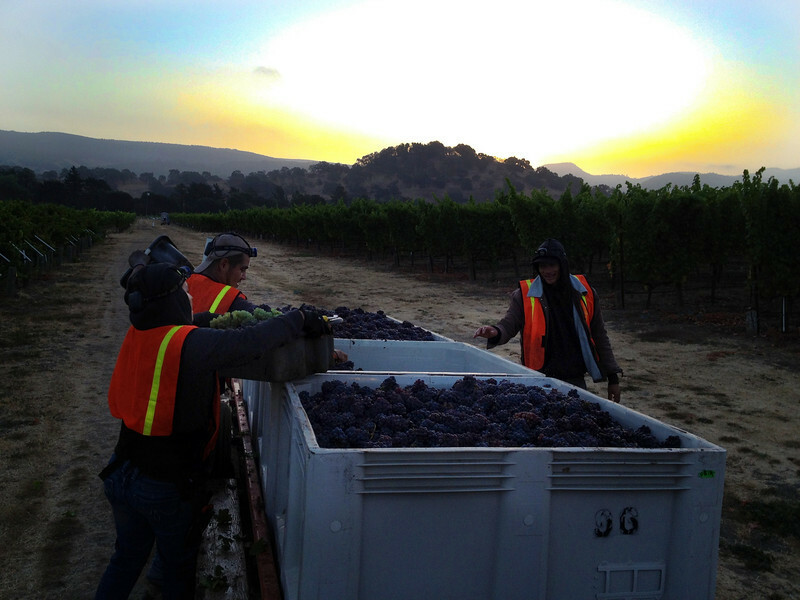 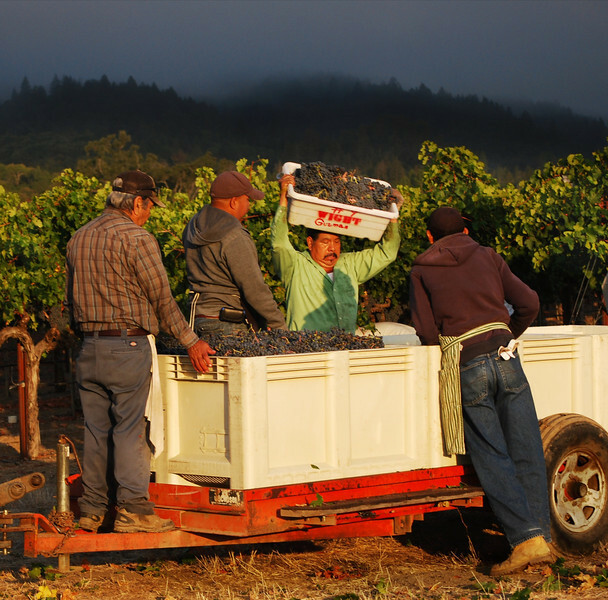 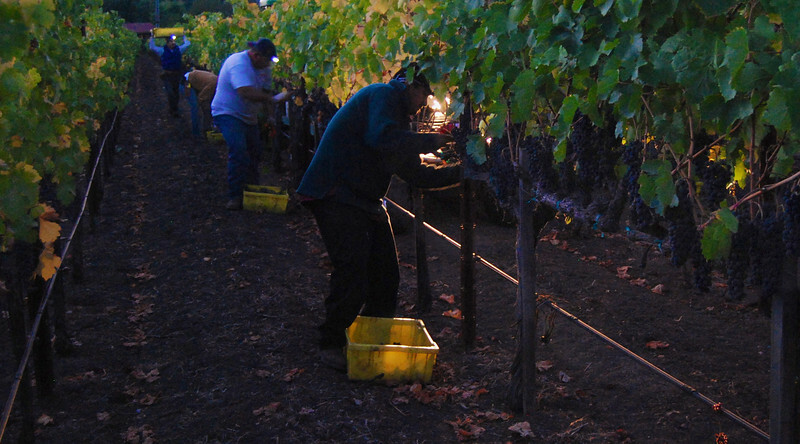 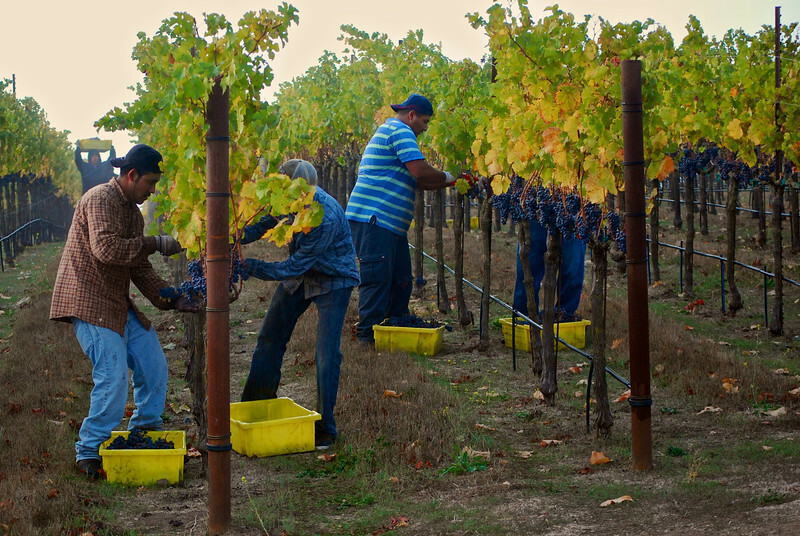 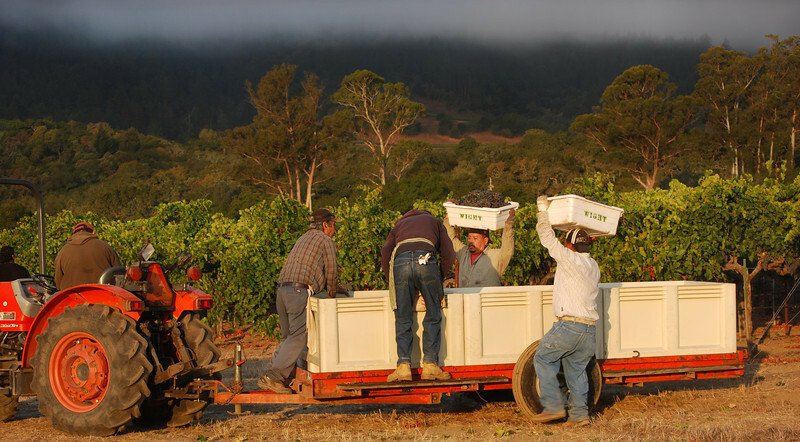 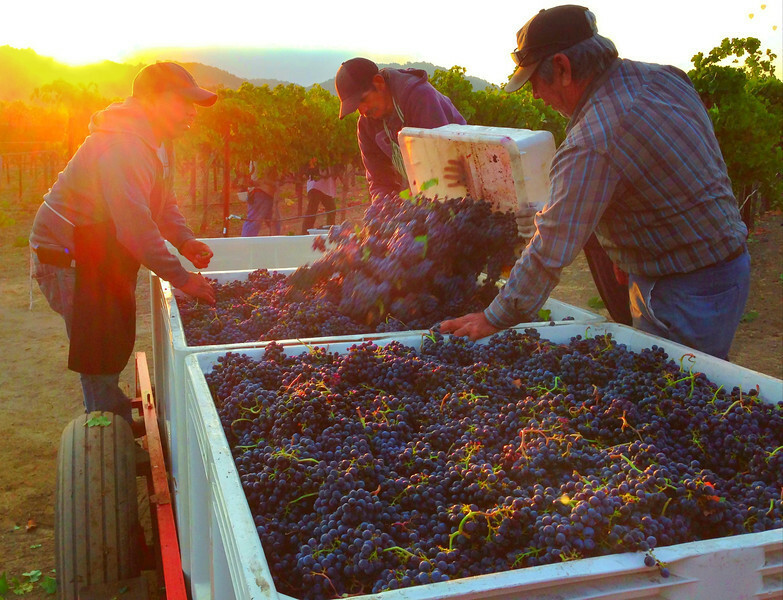 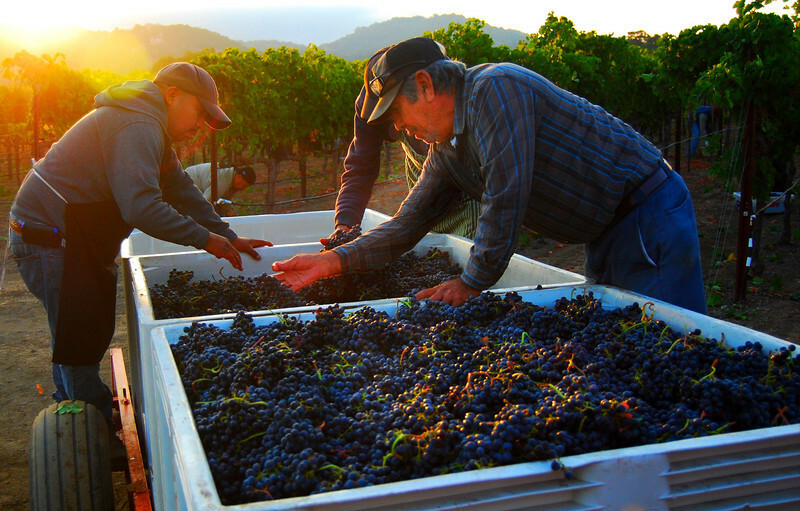 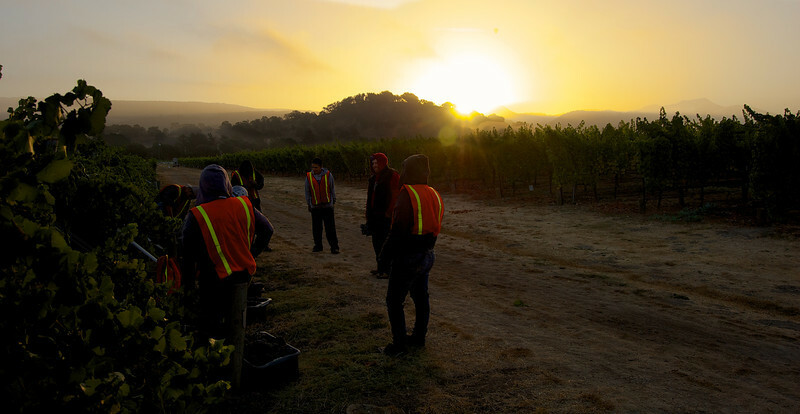 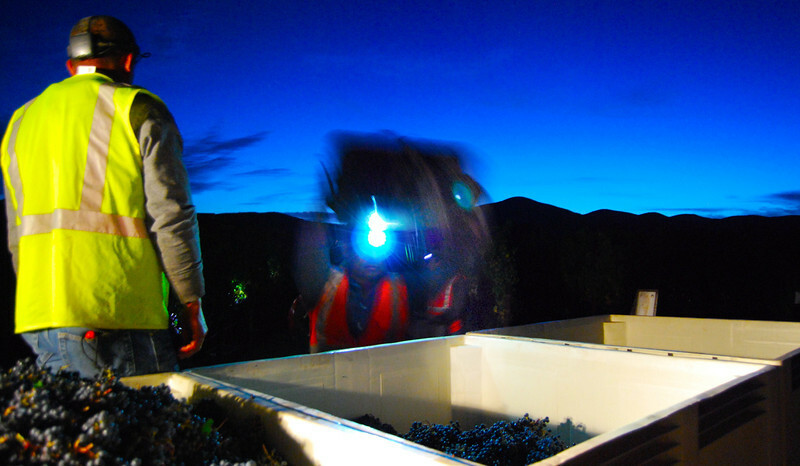 The harvest crew takes a break as the sun rises over our pinot gris harvest in Oakville on September 11th. 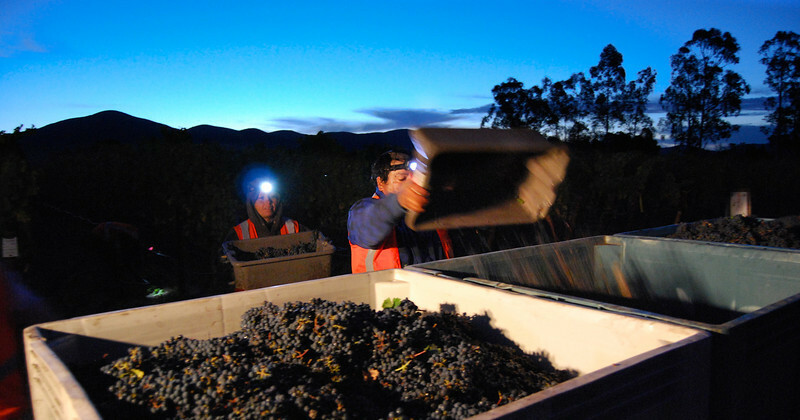 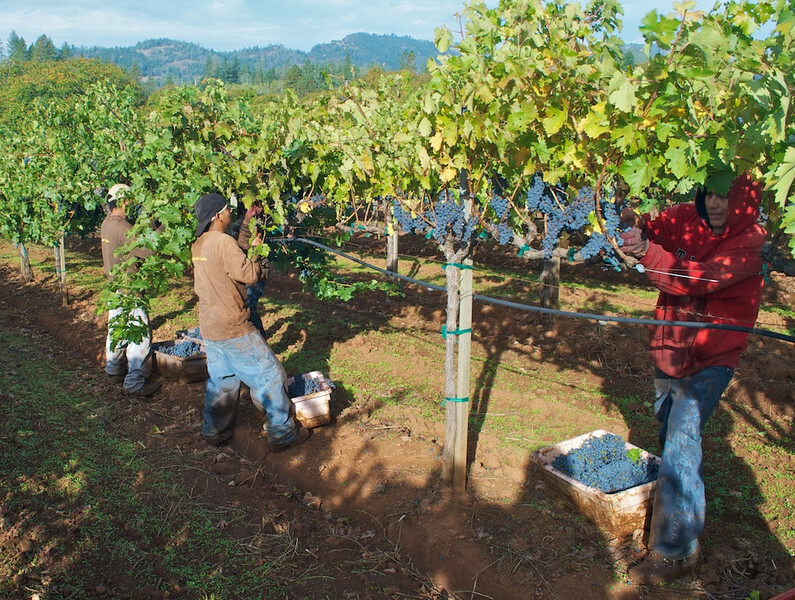 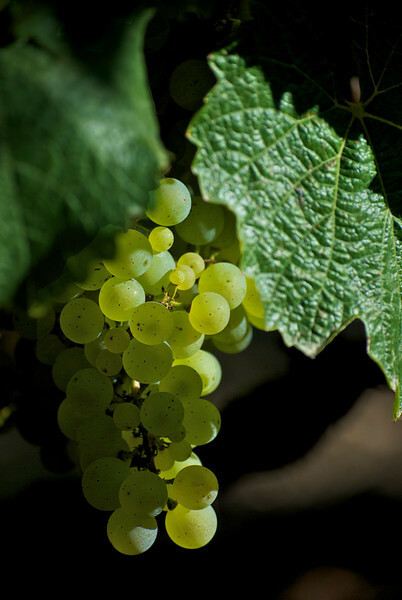 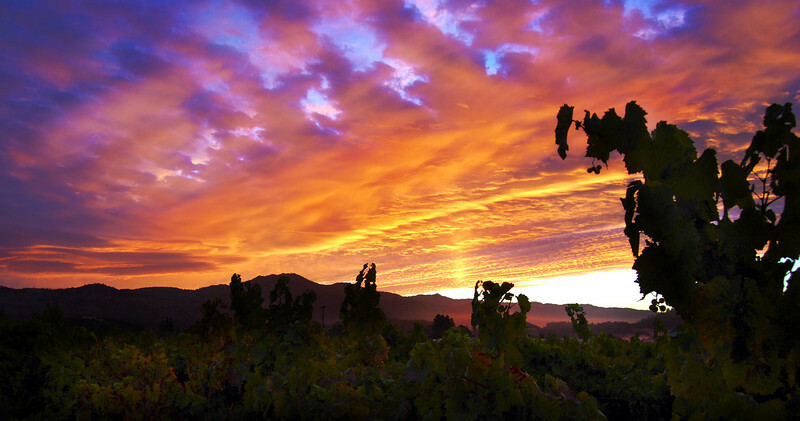 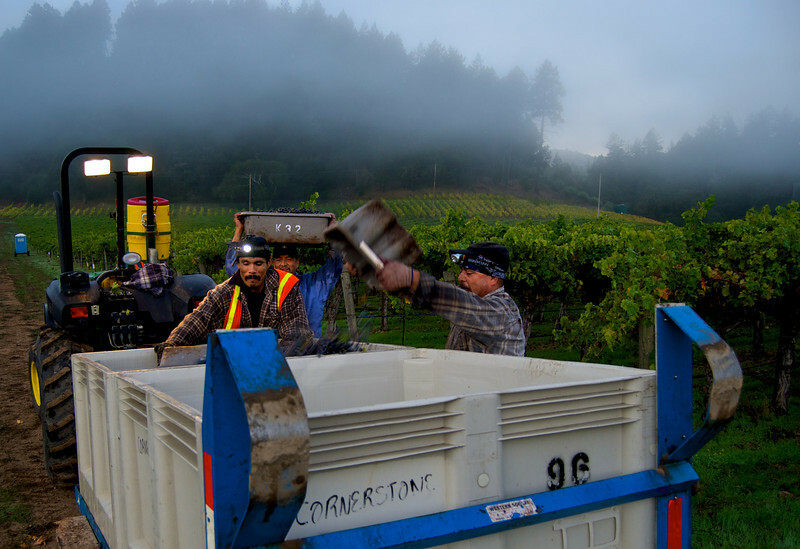 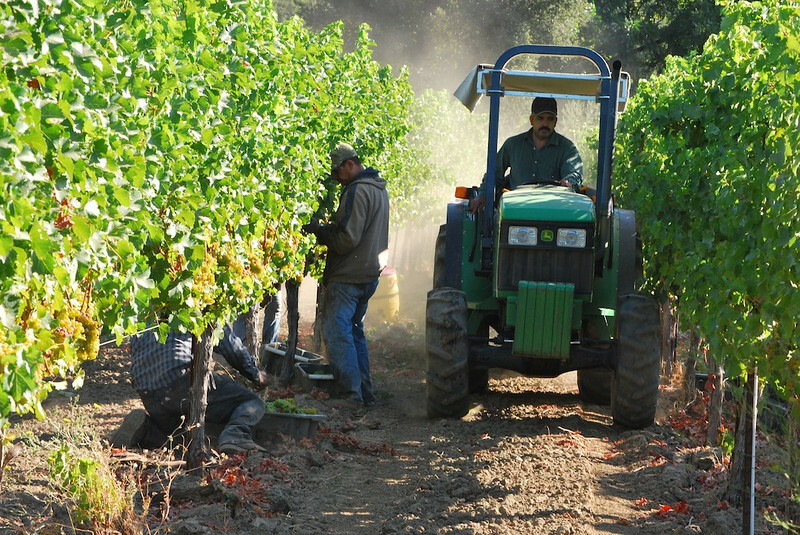 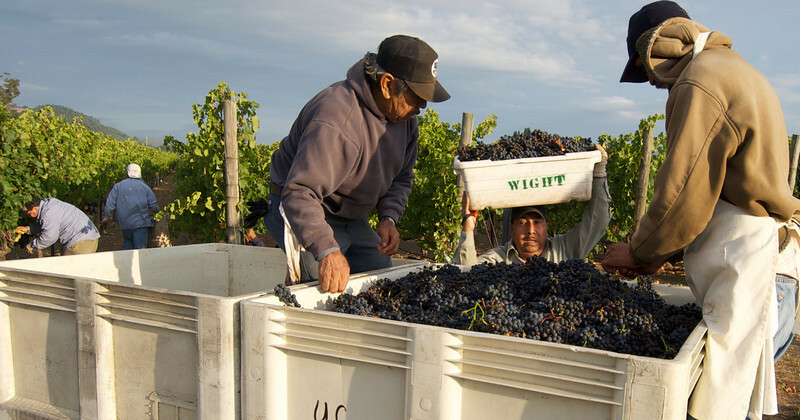 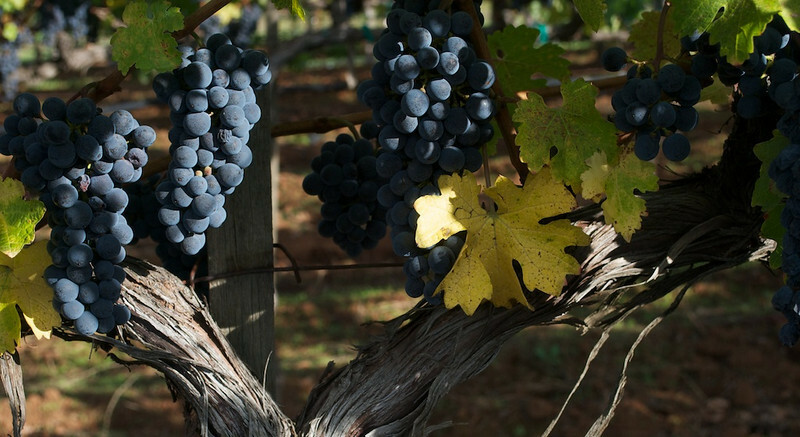 The Cornerstone Cellars 2012 harvest starts with Oakville Pinot Gris on September 11th. 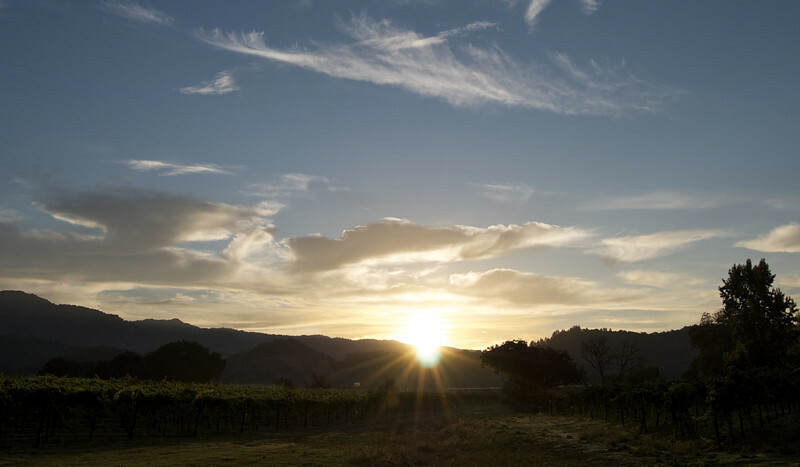 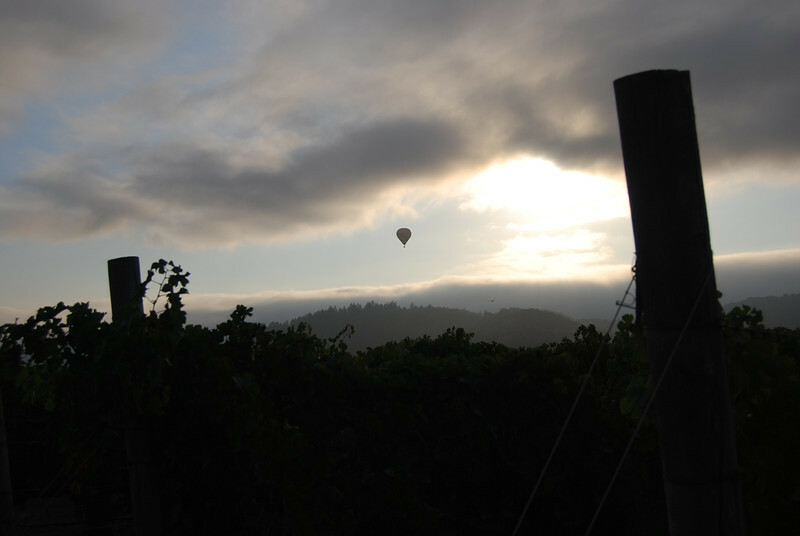 The fog burns off quickly as the dawn breaks over our Oakville Station Merlot harvest.